The end result is a small monochrome robot with large round eyes and red boots possessing an ability to converse in Japanese, shake hands, stand up on its own and adapt to a zero-gravity environment. The robot was created as the world’s first talking companion for astronauts, in particular for Koichi Wakata, who will become the first Japanese commander of ISS when he heads to space later this year. 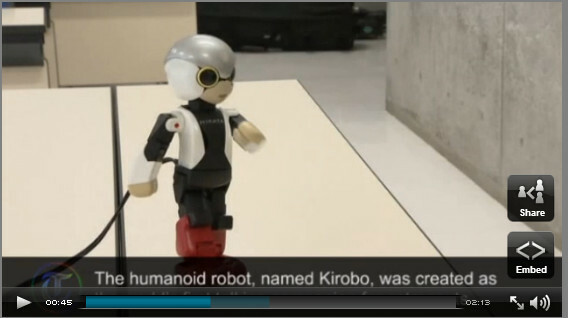 Kirobo, whose name is derived from the Japanese words for “hope” and “robot”, is the creation of a conglomeration of companies and scientists with the support of the Japan Aerospace Exploration Agency (JAXA).